Moms have an almost Universal need to be and stay organized. With all the hats we wear, it is increasingly more important to stay on top of everything and maximize our efficiency. Without organization, we drop balls, forget about important activities, increase our tendency to feel stressed, and ultimately rob ourselves of mommy self-esteem. As moms, we are always looking for better ways to manage our time and create a more organized home or work environment for ourselves and our families. More often than not, it’s the internal obstacles that sabotage our success with organization, but sometimes the issue can be addressed with quick external fixes. Thankfully, every mom has the ability to learn the skill of organization. Here are some quick tips to help you manage the internal and external war with disorganization and clutter. 1. Make sure items have a home. Sometimes we don’t know what to do with things and so they sit around our home adding to the clutter. Create a home or get rid of it. 2. Get rid of excess. It’s possible you have more stuff than storage space. Keep only what you need and what you have room for. 3. Make your storage convenient. If your bathrooms are upstairs, don’t store your toilet paper downstairs. Put like items together and in the most convenient place. 4. Nip the internal limiting beliefs. Many moms don’t get organized because they believe they can’t. Organization is a skill that everyone can learn but your beliefs about your abilities will hold you back. 5. Define your own personal definition of organization. There is not one definition of organization. If you can find things when you need them, feel happy in your space, and empowered to achieve your goals, then you are organized. 6. Assess your current workload. Do you have more tasks to complete than you have time for? Consider letting go of some of these tasks or delegating them to someone else. 7. Empower uncooperative family members. Create a team atmosphere in your home and make organization a family priority. Be the leader by empowering your family to take an active role. 8. Slow down your life. It’s very difficult to get or stay organized if we are operating in a constant frenzied state. Eliminate some activities and create time in your life to make organization a priority. 9. Ride the wave of transition. When we are in transitional periods of life, it can be more difficult to stay organized. Make sure your expectations are realistic for this season of your life. 10. Deal with your attachments to clutter. Sometimes we hang on to clutter because it has sentimental memories or it protects us from facing the outside world. Identify and work through any emotional attachments to clutter or disorganization. 11. Let go of a fear of failure. Some moms don’t begin the organization process because they are afraid they won’t be successful. Take baby steps and celebrate tiny successes. This will give you the momentum to keep going. 12. Get clear about your goals and priorities. If you are unclear what’s important to you, it is far too easy to fill your life with unimportant tasks and activities. Create a vision for how you want to live your life and set goals to achieve it. 13. Seek comfort in God and people, and not material possessions. Some of us hang on to an abundant amount of possessions because it brings us comfort to be surrounded by stuff. Analyze your need for comfort and security and look for deeper ways to satisfy this need. 14. Address emotional issues in your life. Disorganization and clutter can often be signs that emotional clutter is present in your life. Make sure you are not using disorganization to distract you from dealing with an unhappy marriage, an unfulfilling job, or other personal struggles. 15. Create systems that work for you. Everyone operates differently so make sure the systems and strategies you use to stay organized fit your individual personality, needs and goals. Otherwise you will jump ship and abandon the process. Pick the one item from this list you most resonate with. Commit to using this tip to increase your organization, make more time for what’s important to you, and increase your joy in motherhood. Lori Radun is a certified life coach and author of The Momnificent Life ~ Healthy and Balanced Living for Busy Moms. Visit her website at www.momnificent.com for more free tips. Usually, the dirtiest place in your entire home is the bathroom. With constant traffic from yourself, family members, and guests, it is also the room you need to clean the deepest. Many types of stains find their way into your bathroom, and you may often need to spend a little more elbow grease to eliminate them, even with the best products. Whether you’re battling hard water stains, mildew, or toilet bowl stains, there’s a simple solution for each task. With the right product and technique, it’s easy to remove unwanted water stains in your shower, sink, or toilet. Create a solution that is half vinegar and half water in a spray bottle. Spray down your affected area and allow the combination to settle for a few minutes. The hard water stains should wipe clean. If this method doesn’t break through your stains, combine baking soda and vinegar to create a paste; smear the paste on the stained surface and leave it alone for about 15 minutes before washing clean. Either of these methods will leave you with no hard water stains. Make sure to use this vinegar based solution on tile, and not on marble, travertine, limestone or other calcite based stones. Mildew needs to be removed as soon as you notice it accumulating in your bathroom. It has the ability to affect your health as well as your bathtub. Many mildew stain removers are available to obliterate this unhealthy growth in your bathroom. If you don’t have access to a mildew remover, mix one-part bleach and 15-parts water, spraying the mixture over the affected area. After allowing the commercial or homemade mildew stain remover settle, scrub the areas with a brush and rinse with clean water. When you want to handle toilet bowl stains, turn off the water so any chemicals you use can break down stains easily. Once the water stops running, apply your toilet bowl cleaner; in the absence of toilet bowl cleaner, you can use baking soda, white vinegar, and a disinfecting essential oil blend to settle into the stains. With a pumice stone or sandpaper, you can scrub away most tough buildup. 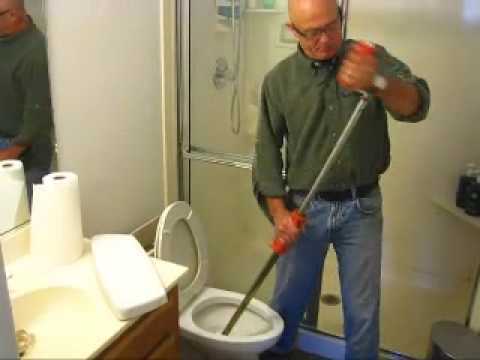 After you scrub away the mess, flush the toilet to finish the job. Hard water stains are generally caused by the condition of your plumbing in your home, so you may need to repeat these deep cleaning procedures every two months or so. With the right attention, you can have a spotless bathroom around the clock, leaving you with less to clean when you have guests on the way. There are many ways to use area rugs in the overall design of your room. Some things need to be decided before you shop for your rug, and here are some tips to help you with your decision. Rug first or furniture first? Your area rug will most likely be the focal point of your room and will provide the largest amount of color in your room. Unless you want your furniture to be your focal point and then you may want a more muted rug. See the problem? You really do need to decide ahead of time where you want your room to go. If you want the rug to be the focal point then the furniture should be more muted and chosen to enhance the beauty of the rug. If the furniture is to be the center of attention, you need to choose the rug to accent and not clash with the furniture. Incorporate the rug design into the overall room dcor. If your rug is a floral design, for instance, you might consider making your wall art be of complimentary flower prints. If the rug is a geometric then wall art that compliments that could be chosen. You can tie the room dcor together nicely if you use the rug as a starting point for the rest of the dcor. One rug or two, or more? As a general rule of thumb, just one large area rug will do nicely in a room. But if your room is very large or oddly shaped, you might consider having two smaller rugs or even more. Just make sure that the rugs are complimentary to each other. It will probably look better if one of the rugs is larger than the other. Color. When you are starting fresh in a room, consider starting with a really perfect rug and then designing the room around it. It is much easier to choose things like wallpaper, wall color and furniture upholstery to match a beautiful rug than it is to match a rug to the walls or upholstery. If the room is already finished, then choose a rug that compliments the colors in the room or one that provides just one splash of color that will stand out. Use the rug to separate areas. In a very large room or, say, a great room that combines both the living area and the dining area, consider using an area rug as a way to divide the rooms appearance. You can make a huge room almost look like two separate rooms using the right rugs. Be open to new things. Try imagining new looks for your area. Be brave and experiment. Shake things up. If you always go with only what you have been comfortable with in the past, you are cutting yourself off from the possibilities. Area rugs can be a wonderful and exciting way of decorating your home. You want to choose according to what feels comfortable but also consider new ideas and styles. Make a room you are proud of! 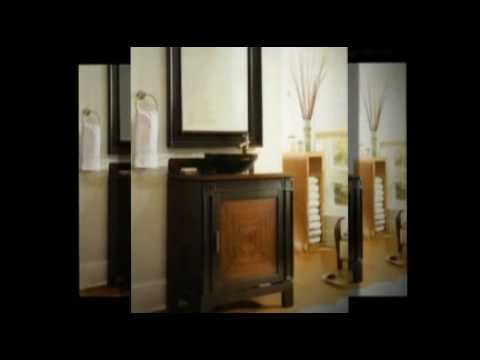 Bathroom vanities are something that can change the look of your bathroom. If you want an amazing bathroom then you should get unique bathroom vanities. Unique bathroom vanities will make your bathroom look luxurious as this is one of the main parts of a bathroom. You just cannot go to markets and buy a vanity. If you want to have a unique one then you should have an idea about what kind of vanity you need. To get a good idea about which vanity will match your bathroom, you should first measure your bathroom carefully. In this article some tips are given to help you design your bathroom vanity. You will find two kinds of vanities in the market. You can get a freestanding vanity, which does not have any storage place. There are other types of vanities, which is called built-in vanity. These vanities come with a storage system. You have to think which kind of unique bathroom vanities will be useful for you. You can get unique bathroom vanities in any shape, size and color you want. You will also find different designs among vanities. Some are traditional design, some are classic, some are tropical looking and some are hi-tech vanities. You can choose the designs according to your own preference. If you like simple and smarter designs then you should get modern hi tech vanities for your bathroom. These vanities can be creative and save space in your bathroom. Mission style can be made of wood and these vanities are usually high priced. Traditional vanities are inspired by the 1920s art and they are designs of Europe basically. Whatever unique bathroom vanities you choose always remember that it has to match the style of your home and your bathroom. The top of vanities are important part of unique bathroom vanities. The top should be such that it will be easy to clean. Top of vanities can get dirty with water, soap, toothpaste etc. if the material of vanity top cannot be cleaned easily then it will look really bad. You can use marble tops but be careful and take necessary measures so that the top do not get any scratch. Wooden tops should be taken great care so that it does not get hampered due to water. Ceramics can be affordable for many as they are relatively cheap and they are found in various colors. It is easier to match the color of ceramics. Your unique bathroom vanities will look good with appropriate tops. Buying unique bathroom vanities can be great but you have to think about something before you buy one. Do not buy too large bathroom vanity that will make your bathroom look smaller. The top should be in such size that you can use the sink easily, especially if you have a kid at home then you have to think about the size. You can see different ideas of unique bathroom vanities over the website. If you see different designs, you can think about them separately and make a judgmental decision. furniture Contact them at 214-550-6650. Are you potty training and need something to ramp up the motivation in your toddler? Then consider potty training targets. Simply put, you drop flushable material into your toilet and let your toddler aim and shoot. These can be as easy as bits of toilet paper or fancy purchased targets. By examining the advantages and disadvantages of using this training resource, you can decide whether or not using the targets would help your toddler or preschooler move along in the potty training process. * The pros of using potty targets. Many parents think that only boys enjoy using potty targets, but that’s not true. Little girls find this game fun and many training targets are designed to be used by both boys and girls. The high fun factor is what makes this resource work so well. Most children find the idea of “shooting” their pee at something irresistible, which is why I often recommend saving targets for when you need to move a resistant child along. When you are trying to help your toddler understand the connection between his bodily urges and using the potty chair, training targets can help. Give lots of water for a day and offer to use potty targets whenever your child fills the urge to void. Your child must identify that urge, hold it, get to the potty chair, release (and aim). All good for practicing healthy toilet habits – without you nagging. – Use creatively for longterm effectiveness. You can use bits of toilet paper and round cereal bits (remember, must be flushable) to initiate training. Then you can purchase fancier potty targets for special occasions. Some purchased targets actually look like targets, some expand in the water and some are bright and colorful. Save these special targets for those moments when you know you’re going to encounter frustrating resistance. For example, pottying in a public restroom or at a friend’s home. Maybe when your child is tired and doesn’t want to cooperate. Or as a special treat for a well behaved toddler. * When do potty training targets not help? The cons. – You can’t flush everything. A parent definitely wants to have a conversation about potty targets and explain that they are okay to put in the toilet. Many a parent have used these little resources only to have their toddler stuff all kinds of things down the toilet to pee on. – Overuse will sink the idea. While kids love potty targets, the newness cannot last forever. The wise parent will use these selectively – and thus effectively – cycling them with other potty training resources for maximum punch. – Things can get messy. Remember, you are asking an untrained toddler to aim and shoot his pee. This is a little being who has no care whatsoever about where that pee ends up. Things can and will get messy, especially if you have two children trying this together. If you get mad at your child for making a mess while practicing with potty targets, you will lose any of the good you might have gained. Bottom line? Potty training targets are a super fun way to motivate toddlers and preschoolers to do their potty business. Targets can also help beginners learn basic potty habits. But you’ll need to use them with thoughtfulness and a strong dose of humor to maximize their effectiveness. by visiting her website today.